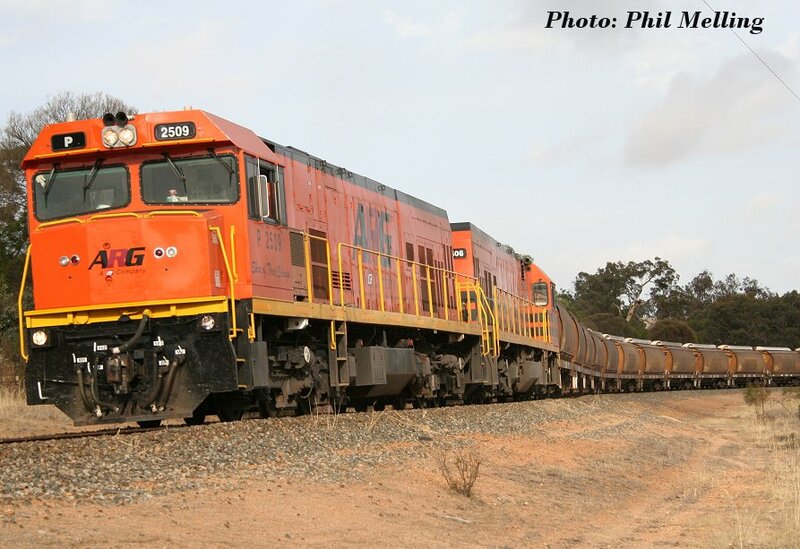 P2509/P2506 lean around one of the curves whilst climbing Cuballing Bank heading for Narrogin on 2 January 2007. 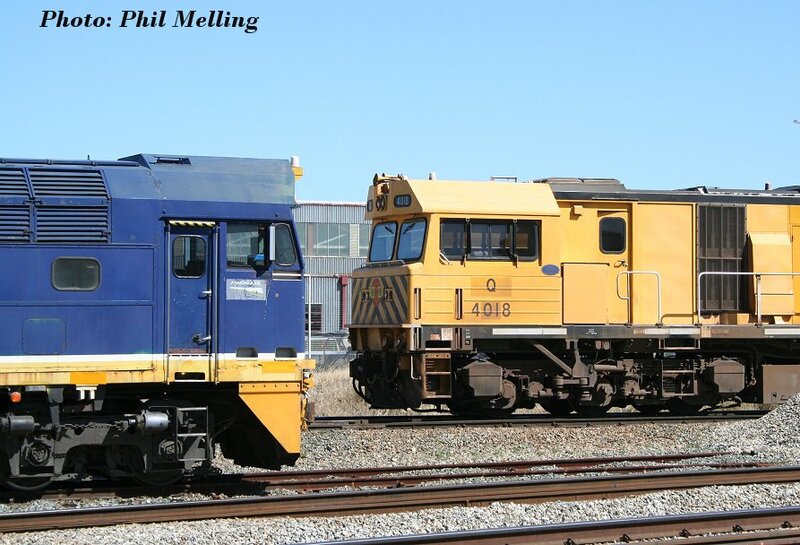 P2509 carries the interim ARG colours, P2516 was outshopped later with another variation. P2507 hauls an empty grain train through trackworks at Greenhills on the York to Quarading Railway on 3 January 2007. 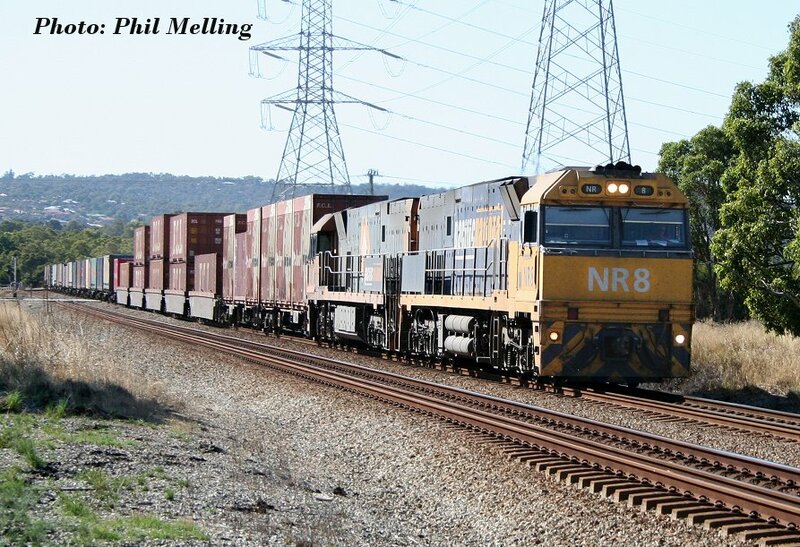 A contrast between Pacific National's 8039 now used for shunting at Kewdale and formerly from New South Wales and Australian Railroad Groups Q4018 as it heads across to Kewdale. 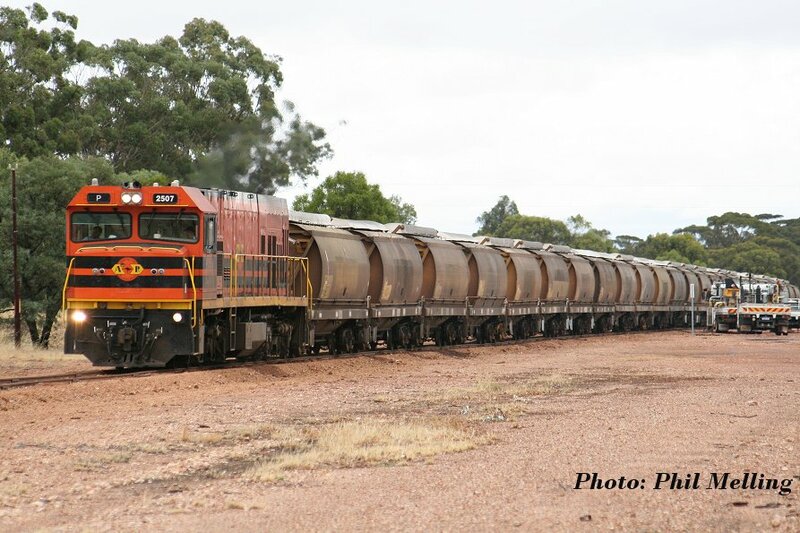 Both locos carry their former owners colours, photo taken on 12 January 2007. 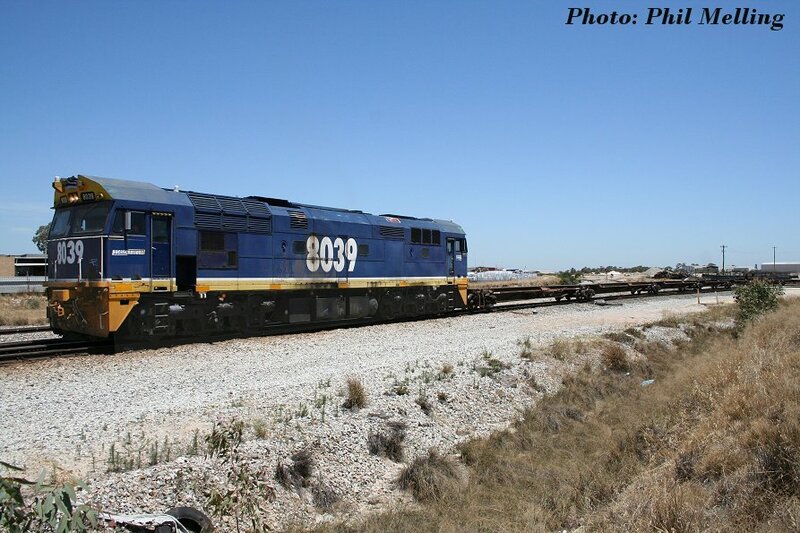 8039 is seen shunting Pacific Nationals Kewdale terminal on 12 January 2007. NR29 in Pacific National colours leads sister unit NR11 out of Kewdale heading east on an interstate train and passes 8039 at Kewdale on 12 January 2007. At the time of taking this photo we had only to see NR8 to complete our coverage of Pacific National's corporate coloured NR's. 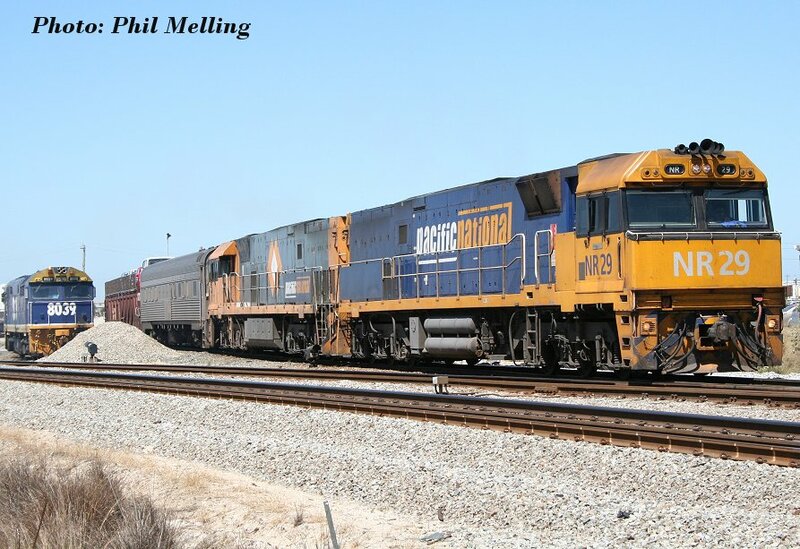 As luck would have it as we were departing Perth to head back to Geraldton we were fortunate to get NR8/NR5 on an eastbound interstate freight at Toodyay Road. Photo taken on 14 January 2007.